Aerial Eye are one of Ireland’s leading Unmanned Aerial Vehicle (UAV) specialists providing our clients with a wide range of aerial solutions, from aerial photography/filming and 360 degree content to 3D modelling/mapping and thermal inspections. With a background in renewable energy and environmental planning, Fearghus founded Aerial Eye in 2014 to provide aerial solutions to the planning and construction industries. Aerial Eye work with consultancies and local authorities across Ireland. Previous clients include the Office of Public Works, Geological Survey of Ireland and more recently we are engaged in various photogrammetry projects as part of a UNESCO World Heritage Site assessment process for the Royal Irish Academy. In addition, clients who utilise other aspects of our aerial systems (TV/advertising & thermal inspections) include BBC, RTE and CRH (Irish Cement). We also work closely with clients such as Failte Ireland providing digital content for projects across the country and most recently we have completed the first virtual reality 360-degree aerial tour of the Wild Atlantic Way. Aerial Eye was founded by Fearghus in 2014 whilst working as a landscape planning consultant in London. With a background in renewable energy and planning, Fearghus has experience working in multi-disciplinary consultancies in Ireland, the US, Australia and more recently in the UK. He has a broad range of knowledge in areas relating to environmental management and planning whilst also having a strong understanding of the renewable energy and technology sectors. Fearghus brings a level of skill and expertise to his work that reassures our clients that not only is safety our number one priority but that creativity is always guaranteed. 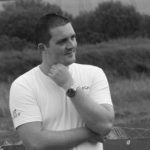 Mark has over 15 years’ experience working in the unmanned aircraft industry and works alongside Fearghus when a two person operation is required. From building to flying UAV’s, he is regarded by many as one of the most technically adept UAV pilots in the country. He is also an IAA registered UAV instructor and trainer. 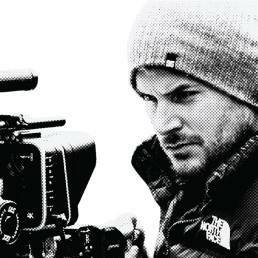 Hugh Sweeney is a filmmaker and photographer. Hugh originally started out in the field of art & design and has worked for over 12 years in the graphics industry. 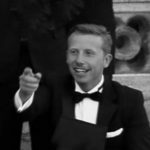 Now focusing entirely on film work and video, Hugh applies his experience and knowledge to create striking visuals that will showcase your product or business to its absolute best. Although most of Hugh’s work is for business he still spends time directing his own projects and has a keen interest in the art of film. We are fully trained, licensed and insured and hold an Aerial Works Permit granted by the Irish Aviation Authority (IAA) and a Permission for Aerial Work (PFAW 1049) granted by the Civil Aviation Authority (UK) for the provision of all our work. We are consistently developing and testing new techniques to capture and analyse usable and reliable aerial data so as to enable clients to operate with greater efficiency and to ultimately reduce costs. Aerial Eye is also a member of the Unmanned Aircraft Association of Ireland (UAAI) where Fearghus sits on the committee acting as Director of Public Relations.